The roof and stadium façades are shown with Ethylene Tetrafluoro-ethylene (ETFE) foil technology, which allows for varying colors and patterns to be displayed on the translucent surface. Images show a stadium with an estimated capacity of between 25,500 and 26,500 fans. A wraparound canopy roof covers all seating rows, a feature the release says "will help enhance the fan experience inside the stadium while supporting noise suppression externally." The roof also features technology that allows for different colors and patterns to be displayed on its surface. Along John Street -- the stadium's west side -- the maximum height is less than 120 feet. 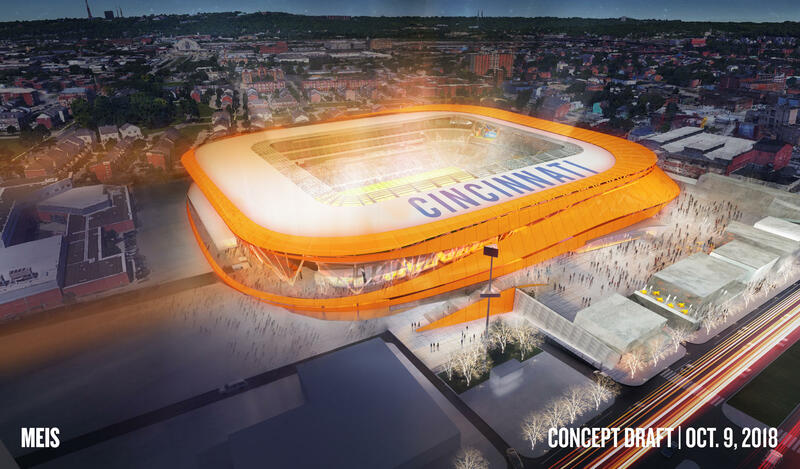 The renderings and images released Tuesday are part of the stadium’s concept design, the first of four stages of design. 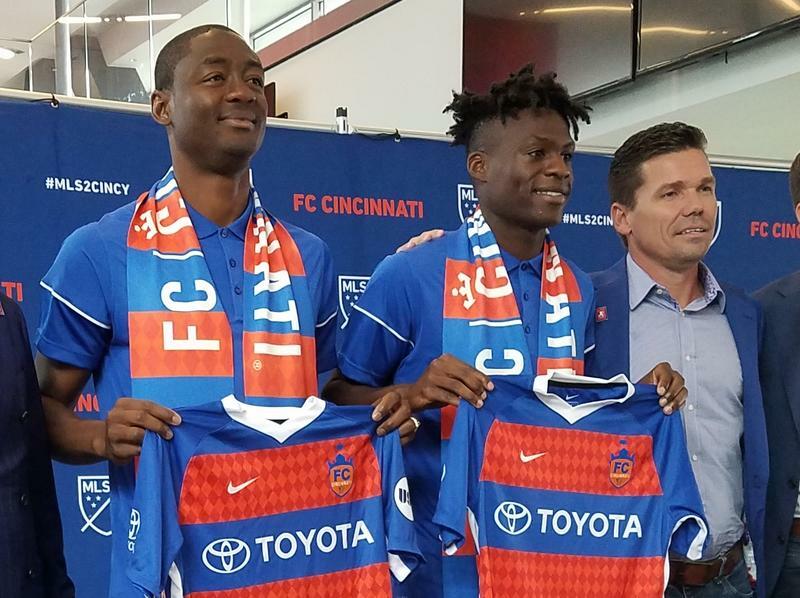 The Bailey, the club's designated supporters section, is situated in the north end of the stadium and nearly doubles the 1,700-seat capacity at Nippert Stadium, where the club has been playing. Premium seating also is more than double that at Nippert, and would feature suites and club space. The design and site plans were approved by club ownership last Friday and will be shown at a Tuesday night meeting of the West End Community Council. Next week, the club will present the design before the full community council as well as the Community Design Committee. The concept was designed by Meis Architects out of New York and L.A., with local support from Cincinnati-based Elevar. 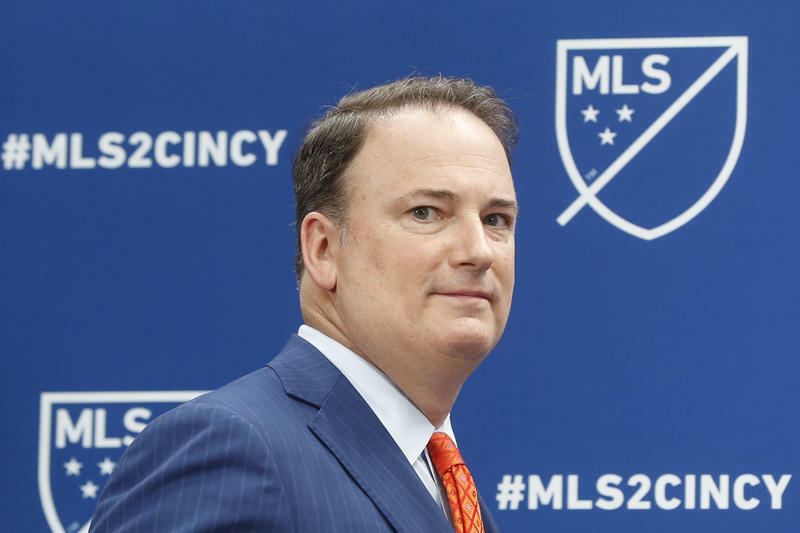 "We've received tremendous support from the West End and the design committee and we believe we're bringing a transformational stadium to Cincinnati," FC Cincinnati president and General Manager Jeff Berding said in a release. "We know the design process will continue and our final product will likely continue to evolve, but we are proud to share our updated plans." 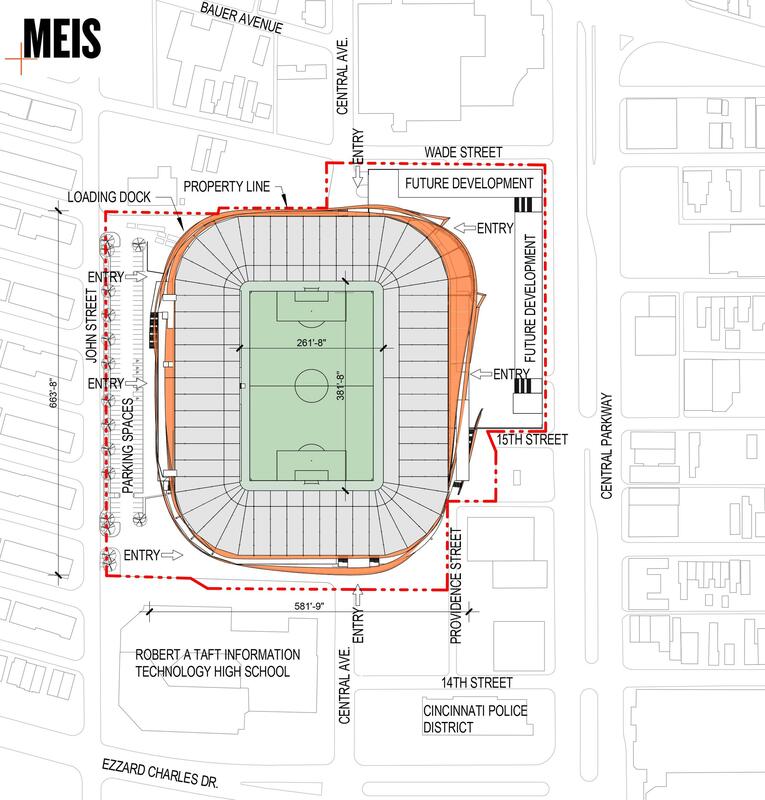 A previously released design showed a stadium with a maximum capacity of around 28,000, which took up parts of Central Avenue and property abutting Central Parkway, in addition to Stargel Stadium. 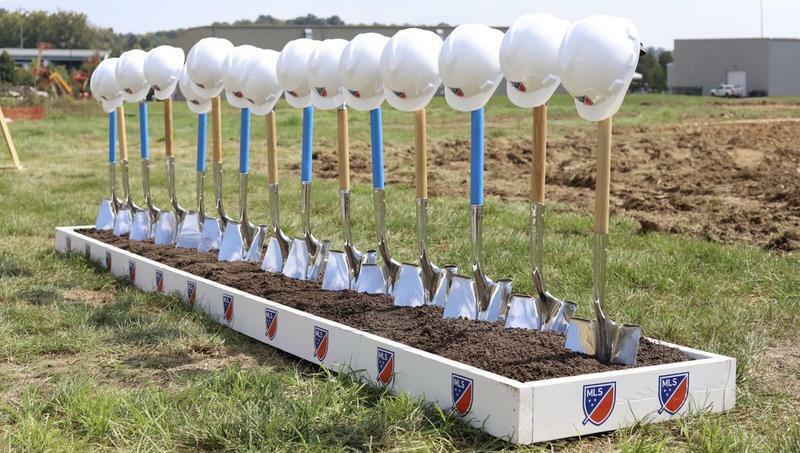 Construction on the stadium is expected to begin in 2019, with at least four additional design modifications and adjustments before then. The full concept plan will be presented to the city on November 19.